The base files which include mostly the FreeBSD package manager and make utilities with which you can begin exploring the thousands of packages and the ports system. 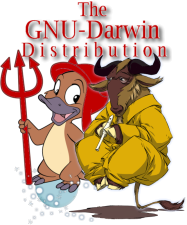 The base distribution includes around 125 essential packages, many useful libraries, applications and window managers, it is a good place to start if you are not really sure what you need. There are also many possibilities through CD-R, DVD-R and pre-installed hard drives available at the store. This is the best option for complete setups and for dial-up connections. The base files are everything you need to start using the package manager and the ports system. Once the base files are installed, you will be asked if you want to go on with the distribution so you can just stop there. You may also choose to restart from there at a later time. The distribution consists of the base files plus 125 packages: applications, libraries and utilities.